Q. Why has herbicide resistance become such a threat? 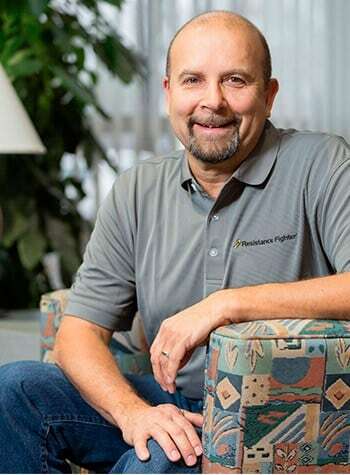 A. Dane Bowers, technical product lead, Syngenta, North America: I’ve watched herbicide resistance evolve, and the threat has often been ignored. We seem to think it’s a problem that happens to someone else in another area. In reality, resistance is a biological process that doesn’t have geographic boundaries. We’ve often taken the approach that if it isn’t obviously broken, we don’t need to fix it. But with herbicide resistance, taking action now is the right approach. If weed-management programs are not properly designed, herbicide resistance will eventually become an issue. Q. What are some practices unintentionally contributing to the breakdown of current herbicides? A. The practice most responsible for resistance is repeated use of the same active ingredient or mode of action. This puts tremendous selection pressure in the field. The herbicide controls susceptible weeds, but plants that carry resistant genes escape. Because these escapes are often allowed to go to seed, the field can have high populations of resistant biotypes in fairly short order—in a matter of two to three years. Another practice contributing to resistance development is applying post-emergence herbicides to weeds that are too large. Some of these large weeds may have low levels of resistance, and application at an earlier growth stage would have killed them. But repeating the process of spraying large weeds will, over time, build higher levels of resistance in the weed population. When growers begin to see that the herbicide rate they’ve been using is less effective and they must increase the rate, it’s a pretty good sign they’re developing a problem. Q. How can resellers and growers help preserve the technologies available to them? A. I recommend growers plant into clean fields by either using an effective burndown herbicide or tillage. Also, consider adding more diversity into weed-management programs to decrease dependency on herbicides by removing weeds mechanically, rotating crops and planting cover crops. It’s important that weed-management programs include multiple effective modes of action on the target weed. Using mixtures has been shown to be the most effective resistance-management strategy. Know what modes of action are in the herbicides being used, and make sure the target weed is susceptible. Many premix herbicides do contain multiple modes of action; however, target weeds, like waterhemp or Palmer amaranth, may be resistant or not controlled by one or more of the ingredients. This isn’t effective resistance management. Two-pass programs are also important. Select a pre-emergence herbicide with multiple effective modes of action. This will lessen selection pressure on the post-emergence herbicide and help keep it viable. Where possible, use multiple effective modes of action in the post-emergence trip. Always apply the labeled rate at the correct time. I also recommend overlapping residual herbicides. Apply the post-emergent herbicide early, before most weeds emerge, for additional residual control. Controlling weeds before they emerge will help reduce selection pressure on the post-emergence herbicide. Q. What steps is Syngenta taking to keep today’s weed-control solutions viable? A. Syngenta, both internally and in external collaborations, has research efforts underway to understand mechanisms of resistance and to monitor the development of resistance across the U.S. Our team is focused on education as well as the delivery of sound recommendations and herbicide mixtures to help customers manage herbicide-resistant weeds. We design our herbicide premixes to include robust rates, multiple effective modes of action and strong residual activity. When applied in a two-pass program, these herbicides will provide overlapping residual activity to help protect today’s weed-management tools. Through our Resistance Fighter® campaign efforts, the Syngenta Agronomy Service Team has developed local recommendations to provide good resistance-management strategies to our customers. We also have an educational component as part of Resistance Fighter. It includes hosting local meetings throughout the year and sharing information through collateral to help growers and resellers understand how resistance develops and what practices can help manage or prevent resistance. Q. What new technologies does Syngenta have in its pipeline? A. Syngenta invests more than $1.3 billion globally each year in an effort to bring new solutions to farmers’ unmet needs. As a result of this focus, our current pipeline of technologies is stronger than ever. In the U.S. pipeline alone, we have more than 50 innovations. Specific to herbicides, we have new chemistries, premixes and traits in development. One example is HPPD-tolerant soybeans, which will allow in-crop applications of HPPD-inhibitors—a class of herbicides that offer exceptional residual control of grass and broadleaf weeds. Syngenta is also actively evaluating various dicamba technology options, including volatility reduction agents. While we have not submitted any dicamba products to be registered for over-the-top use on cotton or soybeans, we will continue to monitor the regulatory environment for auxin technology. Our search for new solutions that can help growers manage resistance is never-ending. We look forward to continuing our partnership with resellers to bring these much-needed tools to farms. Get set for a new immersive trade-show experience that goes from seed to harvest.